I t is the firm belief of Martinez Custom that a custom suit will do more than make you look good, it will make you feel good, too. Having a suit that is tailored to your lifestyle and physique can raise one from the masses of generic fashion to the height of individual style and self-confidence. 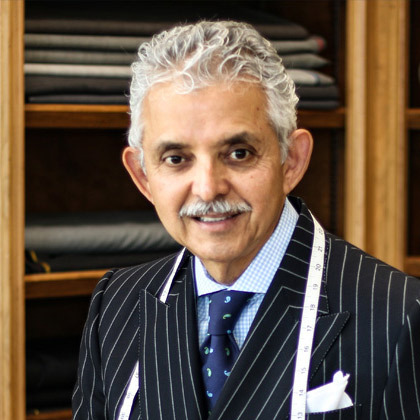 Martinez Custom understands that fashion comes and goes, but that individual style is here to stay. Martinez Custom operates daily by these passionate beliefs. Our high standard of quality exceeds the norm, and is what has earned us both national and international awards in design conventions, recognition in esteemed magazines and newspapers, and honors by various “Who’s Who” lists. While we dress some of the most prestigious men from all corners of the world, Martinez Custom extends our personal service to even the everyday man who understands the importance of self image.